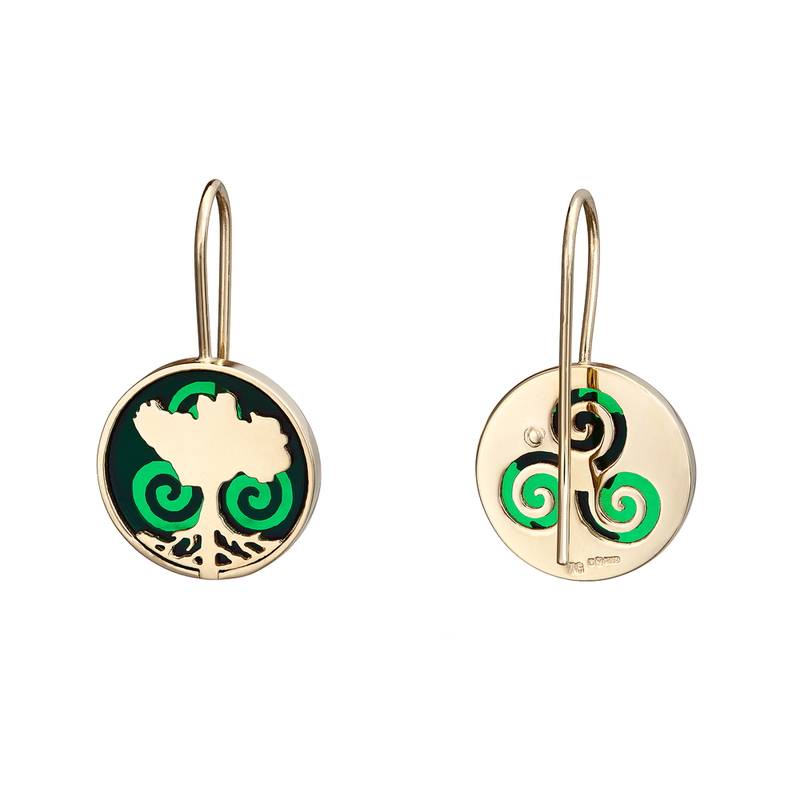 Growing Home Green Drop Earrings – Handcrafted in 14ct Yellow Gold. Other precious metals available on request. 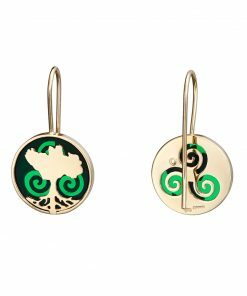 These Growing Home drop earrings are meticulously handcrafted in 14ct gold (other gold alloys available on request) with love for Irish roots, history and folklore. This Growing Home earrings are made with a very special translucent material* that allows the light to shine through the piece to reveal Celtic spirals (triskele) that feature at the back of each piece. It comes in two color options: Green representing the Land of Ireland and Blue representing the Atlantic Ocean. have a drop of approx 11mm. The earringss are hallmarked – 14ct gold (other gold alloys available on request) – in the Assay Office at Dublin Castle and a story card explaining the meaning of the pieces comes with each piece purchased.